"I have made many smoothies in my time and this one, I honestly cannot get enough...and neither will you!" 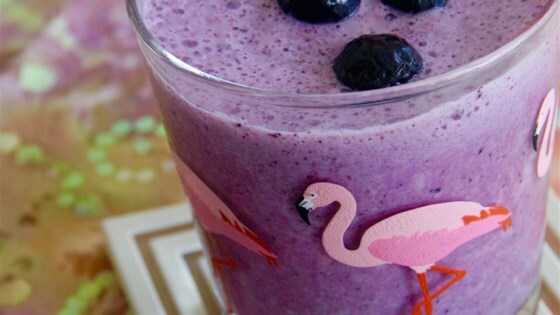 Blend ice in a blender until crumbly; add yogurt, milk, blueberries, and cinnamon. Blend until smooth. Taste smoothie and add desired amount of sugar; blend. For a thicker smoothie half the milk and double the yogurt.